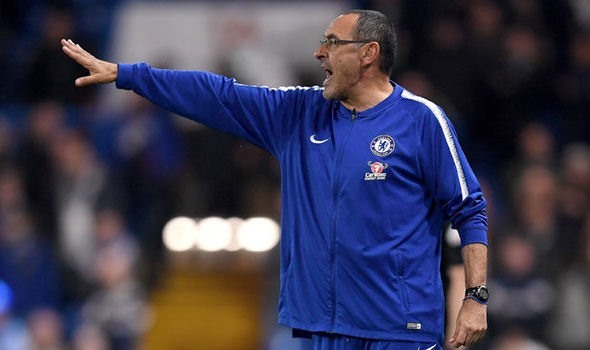 LONDON — Chelsea manager Maurizio Sarri believes a maturing Alvaro Morata can be the free-scoring striker his side needs after scoring twice in Sunday’s 3-1 win over Crystal Palace. "He is a little bit fragile from the mental point of view, but he is very young I think he can improve very fast," said Sarri. "I think also Alvaro has a very great potential, physical potential, technical potential, so he has to improve more." "I can score a hat-trick so it was not the perfect day but we will take the three points," said Morata. "When you have a bad period, it takes long to recover. "Last year was difficult for me for many things. You don’t expect an injury but now I am good, it is nice to be scoring." Hazard was only fit enough for a place on the bench on his return from a back injury and his creative spark was badly missed as Chelsea laboured until bhis introduction just after the hour mark. "I think it was really very important to have him on the bench," added Sarri. "We were lucky because immediately, in the first minute, I think he was able to change our match. "Hazard is Hazard, he is able to do it very often." The Spanish international showed a confidence that has been sorely lacking for the majority of his Chelsea career by deftly controlling Pedro’s cross before drilling the ball low past Hennessey. "I don’t think we were battered by Chelsea today," said Palace manager Roy Hodgson. "I don’t think we were confronted with lots of goal chances and we kept them at bay pretty well, but they were clinical." It wasn’t until Sarri summoned Hazard and Mateo Kovacic from the bench in the 64th minute that Chelsea took control.